When I was 17 right after graduating high school, I was visiting my dad for the summer. I happened to open the newspaper to the entertainment section and found a full-page ad for a new movie that was “presented” by Steven Spielberg. The poster showed Michael J. Fox from Family Ties standing next to what looked like a space ship with flames at his feet while staring at his watch. The title emblazoned above him was Back to the Future. I had no idea what the title meant, but I mulled it around trying to figure out the meaning behind it. The poster was compelling and thrilling without telling me a single thing about the plot. I knew I had to see this movie. Later in the week I caught Siskel and Ebert’s show where they reviewed the movie and raved over it. I convinced my dad to take me and my siblings to see it. However, about 20 minutes into it, my dad whispered to me, “What are we watching?” I really couldn’t answer because I was confounded. The movie up to that point wasn’t very funny or adventurous, and the characters were…odd. What I didn’t realize at the time that this was all set-up for wonderful payoffs to come later in the film. Once Marty went back to 1955, I was hooked on the movie and by the conclusion, I was in love with this film. Now I can enjoy the first act because I know how perfectly written and performed it is. I had mixed feelings upon initially watching both sequels, but appreciated how every element of each film fit together perfectly. So much care and detail went into the production of this trilogy that is so rare in modern filmmaking. The second movie pushed the boundaries of special effects at the time with motion-controlled photography and actors playing multiple roles within the scene. The imagination that went into designing the future of 2015 gave us images that we still hope will come to fruition. A lot was made of the fact that both part 2 and 3 were shot back-to-back, though this was not the first time this was done. But the fact that we anticipated an actual cliffhanger series created an excitement that was rare for movies–especially since they planned an actual ending. Over the years, Back to the Future (the entire series) has grown to mean so much to me, both as an audience member and as a filmmaker. I can enjoy these movies as pure entertainment and also as masterful filmmaking. Every time I watch the movies, I appreciate some new little detail. Are they perfect movies? Naw–there are some seams showing here and there, some plot points that are too convenient, some lines of dialogue that are groan-inducing. But that’s all part of the charm. I wouldn’t want it any other way. Now, 30 years later, we are living at the point when Marty and Doc traveled to in their future. Sure, not much is like what was predicted, but that’s okay–it’s an alternate timeline, after all! Back to the Future serves as nostalgia, but it’s also pure entertainment which still holds up today. Eventually it’ll be remade, rebooted, or reimagined, and whatever version they whip up will never have the same impact as the original. At some point, the trilogy will be looked at as a quaint representation of a bygone age (maybe it’s already there). 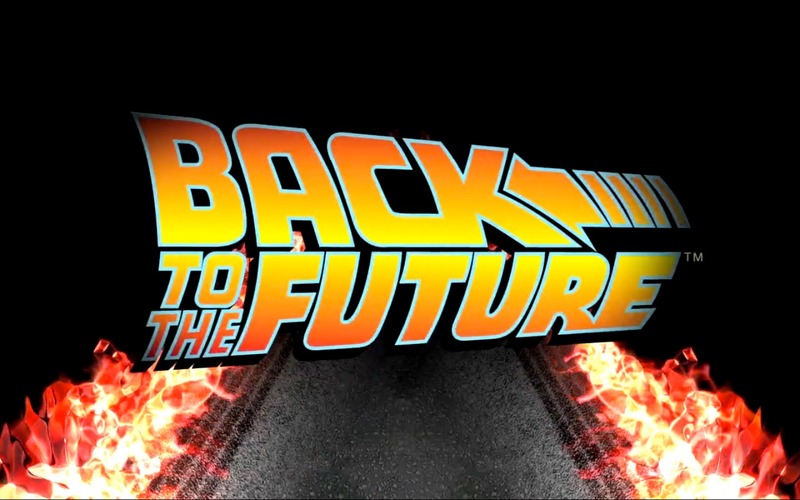 Those of us who were teenagers when the first film came out and pictured ourselves traveling through time in a DeLorean like Marty McFly will eventually be of the age where mere movies don’t matter any more. But these films will always be a way for us to travel back in time.